Service & Maintenance | Bayside Mechanical Inc. 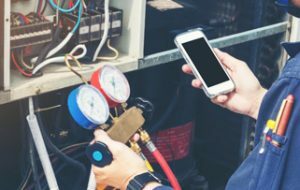 It's essential that you stay on top of the service and maintenance to your HVAC equipment to avoid energy loss, equipment failure and costly repairs. Our service and maintenance agreements service all items included in our Equipment Replacement and Tenant Improvement services. We offer a wide array of maintenance agreements ranging from bi-monthly, monthly, quarterly and annual contracts. We offer warranties on all of our equipment as long as the equipment has been properly maintained. After your warranty runs out we schedule regular service and maintenance visits to ensure all your HVAC equipment is running properly. This saves you a lot of money over the life of your HVAC equipment.